What Goes UpWritten by Wen Jane Baragrey. Random House Books for Young Readers, 224 pp., $16.99. Twelve-year-old Robyn Goodfellow’s roof is cursed. Everything lands on her house: kites, paper airplanes, Frisbees—even a passing skydiver. But now Robyn might be in real danger: one of NASA’s satellites is falling out of orbit and will hit Earth. NASA projections say the satellite will fall harmlessly into the ocean, but Robyn isn’t convinced. If she has just weeks to live, Robyn wants to take care of some unfinished business—like finding her long-lost dad. Ages 8-12.
with whimsy and wit. A family-oriented tale with plenty of quirk. "Funny, charming, slightly kooky, and absolutely brimming with heart. I loved these characters and their odd, small-town lives." --Stefan Bachmann, internationally bestselling author of The Peculiar. 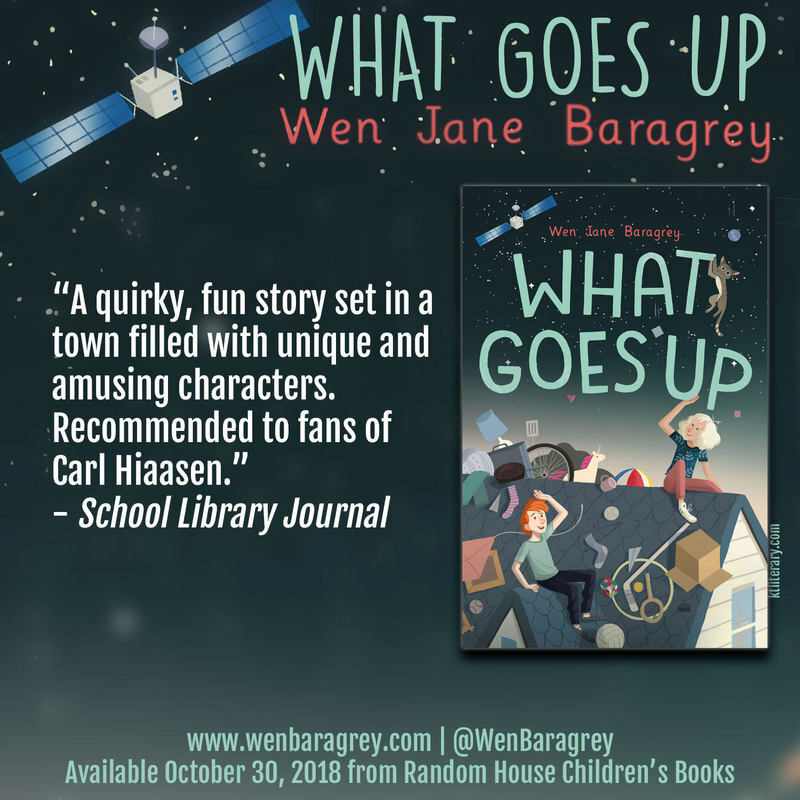 "With warmth and whimsy, What Goes Up explores the security of friendship, the permanence of family, and the comfort that comes from learning the place where you belong." -- Caroline Starr Rose, author of May B.